#SunnyvaleCA Hello Sunnyvale, California! My name is Dr. Tony Tropea, and if you live in or around Sunnyvale, I want to help you. 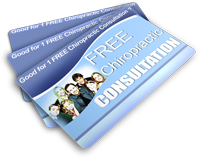 As the number one chiropractor in Sunnyvale, I am familiar with all of the many problems that can be seen in the area and would like to help all of my friends, new and old, so that they can live their life without problems and health concerns. One of the concerns that I see frequently in my Sunnyvale office is stress. Stress is not just a pain to deal with, but it can also cause aches and pains in the body, can interrupt life, disrupt sleep and keep you from eating. It can make other conditions worse and can even make you more susceptible to colds and the flu. It is important that not only the cause of the stress be addressed but the symptoms that it may cause as well. Stress can become a major part of your life if you let it, so do everything that you can to get it back under control. I have been working with people who are dealing with stress at my office that is located at 260 S Sunnyvale Ave, 94086. Whether your stress is caused by your job, family or any other reason, I am ready and willing to work with you on your stress. We can work together here in my Sunnyvale office, so that you can deal with your stress and prevent it from causing any serious health concerns. Stress is no fun to have in your life and should be taken care of before it becomes much worse.